Many say cheerleading isn’t a sport. That there isn’t any competing or teamwork involved. That all they do is stand around a scream into the crowd. 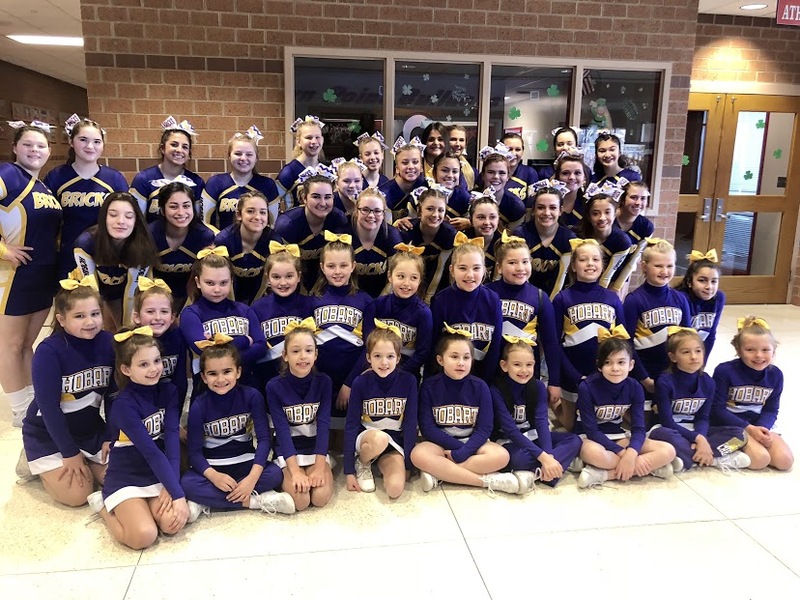 Well, the Hobart High School cheerleading team went to the Crown Point High School to compete against the region in a competition on February 25, 2018. Coach Kriste Bell said ” The girls fought hard in a highly competitive division and came out with a second place finish overall on the day. We are so proud of them not only for their second place finish” The student-athletes competed quite hardly in this competition but falling short of coming out on top they still tried their hardest. Many of these girls didn’t only start Cheerleading in high school many started in the PeeWee league and compete at that age also. The current PeeWee league was also at Crown Point High School competing at their age level. 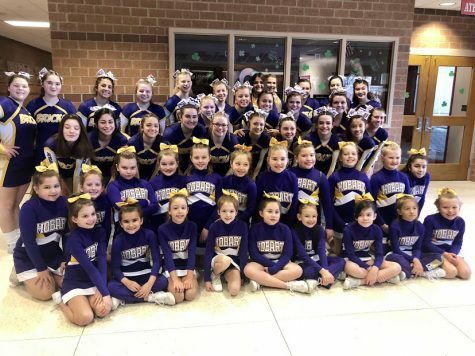 Coach Kristie Bell says “The girls demonstrated awesome leadership and acted as wonderful role models to the Hobart Pop Warner Jr PeeWee Cheerleaders who were also there competing. ” These younger girls look up to the older high school cheerleaders waiting for their turn to become an amazing cheerleader at the high school level. Hobart High girls cheerleading squad with Pee Wee competitors.